|| MARKETING THE NEWS ||: What’s the Point of Moral Outrage? Our paper helps address an evolutionary mystery: Why would a selfless tendency like moral outrage result from the “selfish” process of evolution? One important piece of the answer is that expressing moral outrage actually does benefit you, in the long run, by improving your reputation. In our paper, we present both a theoretical model and empirical experiments. The model involves “costly signaling,” the classic example of which is the peacock’s tail. 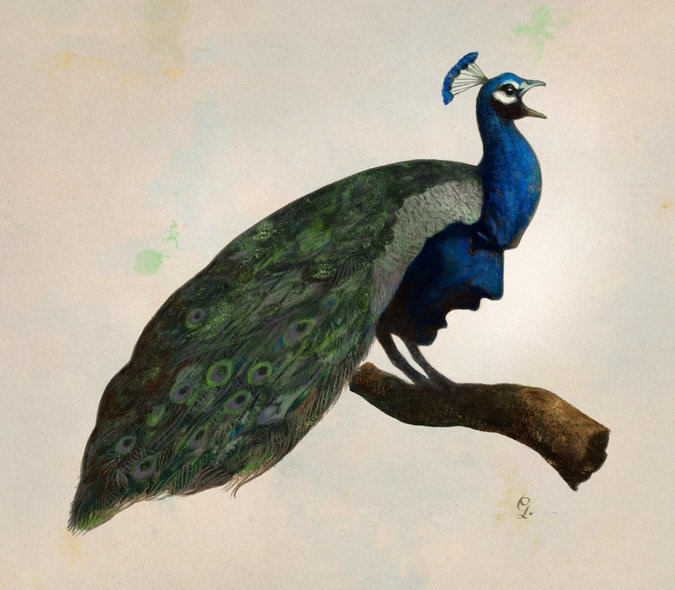 Only healthy male peacocks with high-quality genes can manage to produce extravagant plumages, so these tails — precisely because of how “resource intensive” they are — function as honest advertisements to potential mates of a peacock’s genetic quality. We argue that the same can be true of punishing others for wrongdoing, which can serve as a signal of trustworthiness. This is because punishing others is often costly — but less so for those people who find it worthwhile to be trustworthy. Consider: Trustworthiness pays off for you if others typically reciprocate your good deeds or reward you for good behavior. This includes being rewarded for promoting moral behavior via punishment. Therefore, if you are a person who finds being trustworthy rewarding, you’ll typically also find punishing less costly. Our mathematical model shows that, as a result, choosing to punish wrongdoers can work like a peacock’s tail — if I see you punish misbehavior, I can infer that you are likely to be trustworthy. To test whether people actually follow this logic, we ran experiments in which subjects interacted with anonymous strangers on the Internet. In our experiments, one subject (the signaler) received some money. Then, he had the chance to give up some of the money to punish somebody for being selfish. Our subjects turned out to be fair-minded: A sizable proportion of signalers were willing to pay to punish selfish acts, even though they had not been personally mistreated. Next, a second subject (the chooser) decided whether to trust the signaler — after observing whether or not the signaler had decided to punish. This decision had real consequences: If the chooser decided to trust the signaler, she earned money if the signaler turned out to be trustworthy, but lost money if he did not. (Either way, the signaler benefited from being trusted). We found that choosers were much more likely to trust signalers who had punished selfishness, earning these signalers extra cash in the long run. And choosers were right to be trusting, because signalers who punished really behaved in a more trustworthy way. Furthermore, signalers were less likely to punish when offered a more straightforward way to appear trustworthy (namely, helping others directly). Together, our model and experiments supported the theory that expressing moral outrage can serve to enhance our reputations. Again, this is a theory of evolution, not conscious motivation. It doesn’t mean that people who express outrage are deliberately trying to show off to others. But we do see this theory as helping to explain why humans developed a psychology of outrage in the first place. Our theory also explains why people sometimes punish in ways that don’t make sense from the perspective of benefiting the greater good. For example, punishment can sometimes be wildly disproportionate to the perceived offense. Take the case of a woman named Justine Sacco, who in 2013 tweeted a comment about AIDS in Africa — seen by many as racially insensitive, but by others as an ironic joke gone wrong — and was viciously attacked by thousands of outraged strangers, making her for a while the No. 1 worldwide trend on Twitter. Whether or not they were conscious of it, these attackers were most likely advertising to their Twitter audiences that they were not racist. Moral outrage is a part of human nature. But it’s worth keeping in mind that the punishment that it triggers is sometimes best explained not as a fair and proportionate reaction, but as a result of a system that has evolved to boost our individual reputations — without much care for what it means for others.